In 2017, the OFS leadership team decided that after 8 years, it was time to renovate and expand our showroom. Careful Planning and care went in to the design of our new look. To create our space, we decided to rely on the skill, knowledge, and talent of our own interior designers! We engaged them to create a workspace that not only showed well to customers, but truly embodied our company culture. 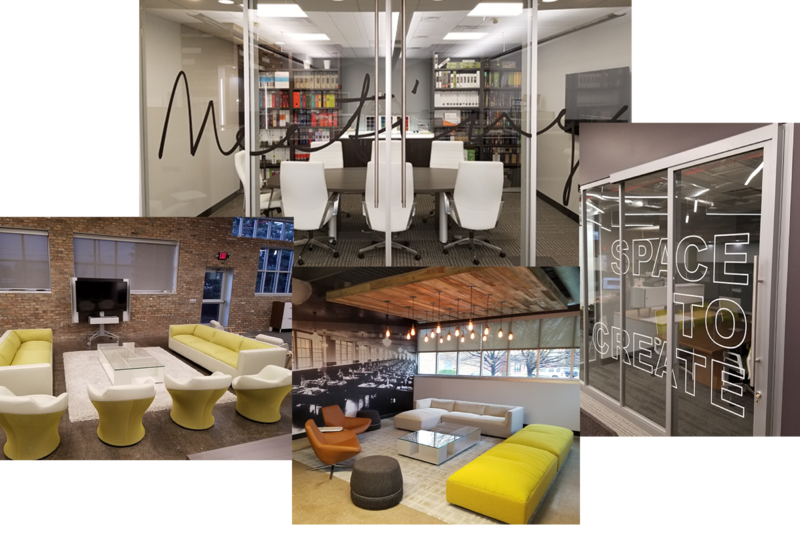 Please contact your OFS Rep to schedule a tour of our truly Innovative space! One of the Coolest Features of the newly renovated OFS showroom is our full sized golf simulator. OFS, sparing no expense, chose HD-Golf to install their state of the art simulator! 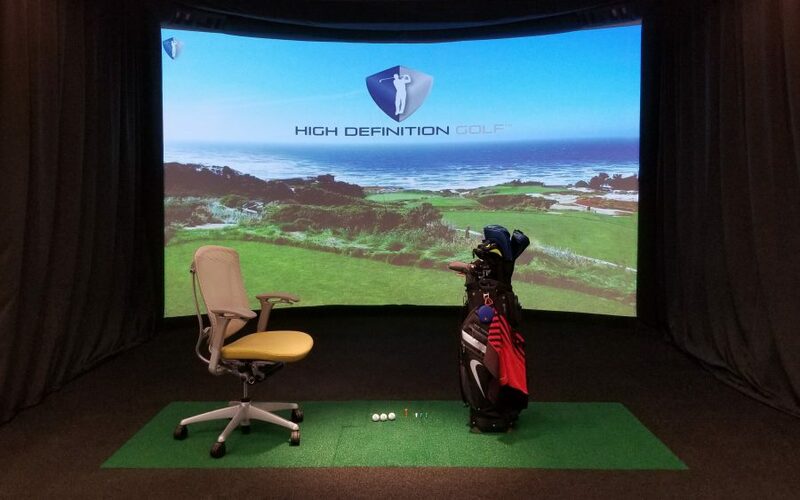 HD-Golf is used by famous Golf Pros Bubba Watson and Louis Oosthuizen, and is also installed at Popular local golf spot “On The Dunes”. OFS holds many different events at our showroom, and the simulator is always a hit! Please contact your OFS Rep to Schedule a Tee Time! 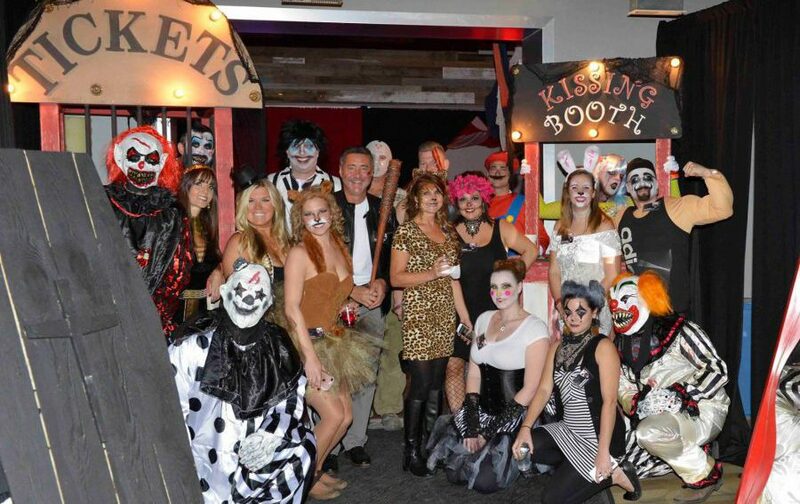 Office Furniture Solutions is Famous industry-wide for our Annual Halloween Party. Started in 2010, OFS spares no expense! Known for our Vibrant dancefloors, elaborate decorations, delicious food, costume contest and much more, The OFS Halloween Party is an event you don’t want to miss! We also feature an entire Casino Floor, Magic Acts, Face Painting, and raffle prizes! Please ask your OFS Rep how you can catch an invite to this Exclusive event! Office Furniture Solutions is a proud supporter of Several charities in the Greater Detroit area, including Habitat for Humanity, Children’s Hospital Foundation of Michigan, and Brilliant Detroit. Having been a part of the greater Detroit Community over the past 20 years, OFS believes that engaging with charities is part of our civic duty. 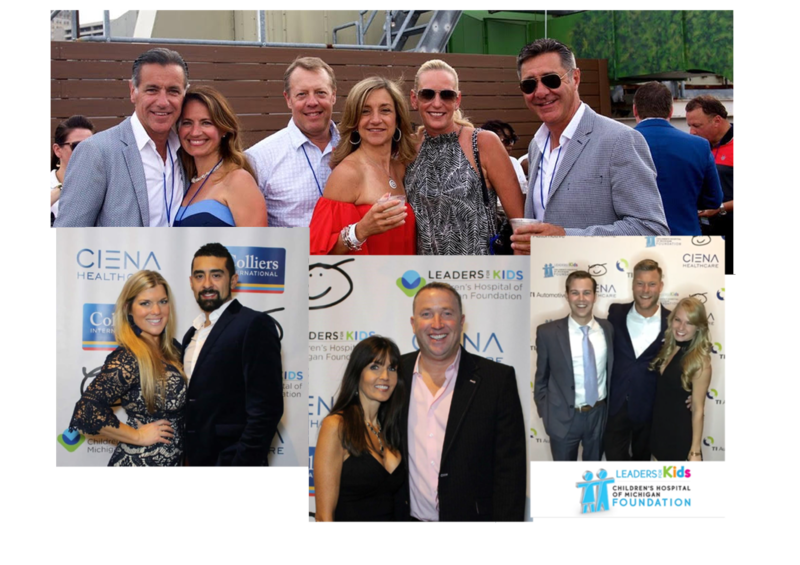 Whether its donating our time to Charities like Leaders for Kids, or donating Furniture to Habitat for Humanity, OFS is proud to do our part. Ask your OFS Rep how you can get involved today!